Slider is also known as back spinner which is one of the most common important variations in leg spin bowling. 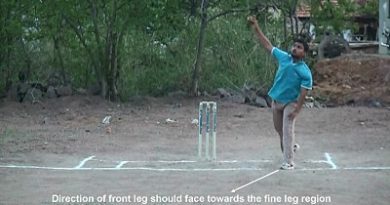 It is a kind of delivery which holds its line, skids after hitting the pitch; you can say it as a little bit flat delivery which doesn’t flight much in the air infact just will be thrown from front of the hand.Since the ball rotates in back direction just like as seam bowling it is called as back spinner. 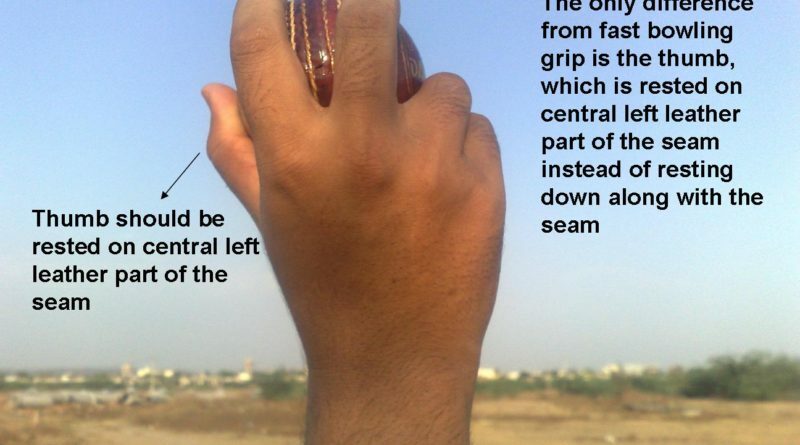 And also since the bowler will try to release or throw or push or you can say slips or slides the ball from edge of the fingers (from front of the hand) with out any spin on the ball it is called as Slider.Therefore at the end of the day the ball after hitting the pitch just moves quickly or slides in the same line with out any spin. How to bowl a slider? Well, generally a slider can be bowled with two different grips like it can be bowled with seam up and it can also be bowled with cross or scrambled seam.Most of the leg spin bowlers will choose to slide the ball with the seam up since it is easy to release or slide the ball from the edge of the fingers when it is seamed up rather than with the cross-seamed.E.g. Shane Warne has always bowled a slider with a seam up ball.Any ways grip the ball with the seam up in such a way that the two fingers index and middle has to be rested on the seam. The other two fingers thumb and ring has to be rested on both leather sides of the cricket ball. Now the bowling action will be similar to just as leg break bowling. 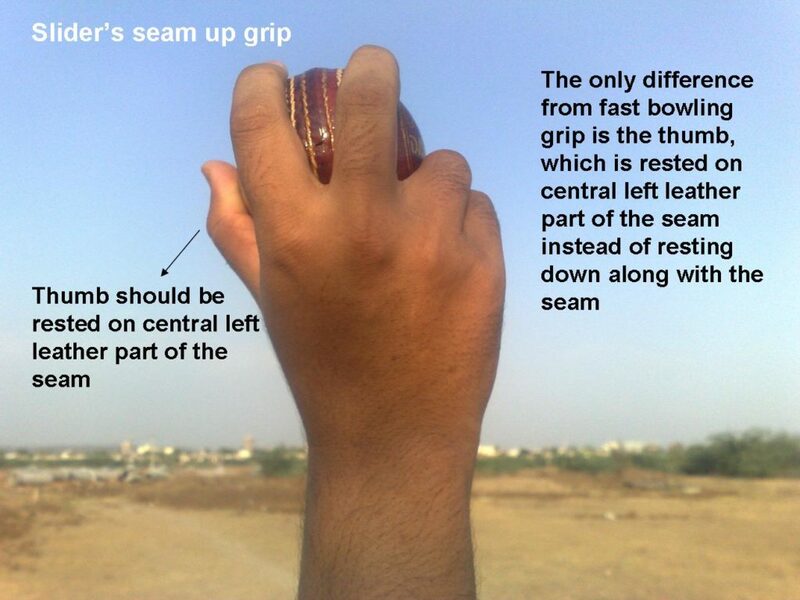 Like the arm has to be at an angle of 45 degrees such that the back of the palm has to face towards the sky just like as seam bowling and thumb facing towards the bowler. Here you need to understand that the ball will not be released from back of the hand like googly, it simply comes out or slips out from edge of the fingers (from front of the hand) with the seam rotating in back direction just like as we see in seam bowling. Now when you release a ball from edge of the fingers, the fingers should be able to drag the seam in down or back direction such that there should be no spin on the ball. At the end of the day the ball after hitting the pitch will have to slide on holding its same line with out any much spin. Similarly to bowl a slider with scrambled seam we need to just follow the same above application. But at the end of the day a genuine and smooth slider can be always bowled with the seam up. To bowl a slider for right handed batsman the line has to be always middle and off stump line. When off and middle stump lines are maintained, since the slider mostly holds its line after hitting the pitch there will be always a great chance of getting Lbw’s, getting bowled, and may be bat and pad catches in short leg areas. When you bowl a slider outside or extreme outside the off stump line you may trouble or surprise the batsman but you might not have a greater percentage of chance in getting wickets in these lines when you compare it with middle and off stump line areas. Similarly the middle and off stump lines are maintained for left handed batsman to bowl sliders. E.g. By bowling sliders Shane Warne has got number of wickets in the form of Lbw’s against English men and South Africans. In general the good length to bowl any type of spin bowling will range from 2 to 6 yards. But variations in any type of spin bowling will have to be in little bit fuller lengths like ranging from 2 to 4 yards. 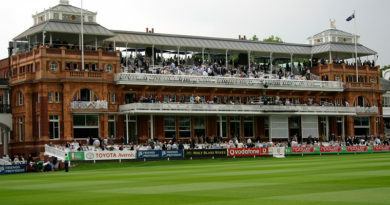 Because most of the times batsmen will think of leg break if it is a leg spin bowling and will try to play for leg break, therefore when a slider or any other variation of leg spin bowling is bowled in little bit fuller length like ranging from 2 to 4 yards, because of fuller length and less reaction time the batsmen may not be able to pick the slider or any other variation for most of occasions. Here we need to understand that when a ball pitches in little bit fuller length the time difference between the ball after hitting the pitch and the ball just before hitting the bat will be less, infact the reaction time will be less when you compare it with a ball hitting in good length. Therefore at the end of the day when a leg break is bowled continuously in a good length (2 to 6 yards) and then suddenly shifting to slider or any other variation in little bit fuller length (2 to 4 yards), most of the batsmen will really get into trouble and will be surprised. Slider is a delivery which is just opposite to top-spinner spinning in back direction. It is a less flighted delivery which floats in fuller or good lengths with lesser bounce. Slider can also be called as the sliding back spinner or sliding top spinner. It is a straight delivery which is released from front of the hand or from edge of the fingers.